WHAT IS THE SYDNEY SQUAD? THE SYDNEY SQUAD IS AN ONLINE ACCOUNTABILITY GROUP WITH MEMBERS FROM ALL OVER THE WORLD TO SUPPORT YOUR HEALTH AND FITNESS JOURNEY BY PROVIDING ALL OF THE TOOLS YOU NEED THROUGH RECURRING CHALLENGES WITH FULL WORKOUTS AND NUTRITION GUIDANCE FOR ALL LEVELS! STARTING APRIL 1, 2019 WE WILL BE STARTING OUR 12 WEEK SUMMERTIME FINE CHALLENGE! THIS CHALLENGE WILL GUIDE YOU THROUGH YOUR WORKOUTS, NUTRITION, LIVE COACHING MULTIPLE TIMES THROUGHOUT THE WEEK, AND MUCH MORE! JOIN THE GROUP TODAY TO GET STARTED OR JUMP IN ANYTIME THAT WORKS BEST FOR YOU! Welcome to the best accountability community ever! A huge part of your membership is access to the Private Facebook group with hundreds of men and women from all over the world sharing their daily hard work and dedication as well as giving encouragement and support to help each other stay accountable! One of the member's favorite tools is access to a daily workout calendar so they know how to use my YouTube workout videos and what to expect so they know how to plan the days (or weeks) ahead! The calendar shows what your workouts will be, how long they will be, when I will have my live Q&A's, when special guests will be coming in, and much more! If you haven't heard me say it before, I'll say it again, accountability and support in this fit lifestyle is everything and I'm here for you! I go live almost every day and constantly respond to your questions in the group, but multiple times per week I do a Live Q&A for over an hour so you can ask me anything that comes to your mind! On top of your daily workouts and nutrition goals, I give you extra challenges to help keep you motivated and looking forward to a new obstacle to conquer! There are three types of challenges: mental, physical, and nutrition! Your calendar will lay out which type of challenge you can expect for the day and I will either go live or post in the group what you need to do in order to accomplish the challenge! If you know me, you know I always preach that workouts are only part of the battle. Staying motivated, staying encouraged, sticking to your goals, eating the right things, knowing how to eat, how much to eat, how to recover from workouts, etc. are all vital parts of the equation of a successful fitness journey and I'm here to share all of the advice and knowledge I have with you! With new apparel and products launching all of the time, as a member you will get exclusive discounts to these items and be the first to know about items being released before the general public finds out! Sometimes items sell out, so why not be ahead of the action? Also, a lot of times, members get the opportunity to share feedback and give advice on new designs and item releases! As the old saying goes, "You don't know how far you've come if you don't know where you started", once a month I have you do a beginning and ending physical assessment test and weekly I have you take multiple measurements so you can see how much you've progressed in your journey! Workouts are great, but if you're not fueling them properly or if you are wasting them with improper nutrition, you're doing yourself a huge disservice and putting a lot of extra work on yourself. Work smarter, not harder! That's what I'm here to help you do! Between teaching your how to each for your body and the community sharing delicious, macro-friendly recipes, you should have no problem reaching your fitness goals with help in this part of your journey! Seeking out professional advice is expensive, especially if it's just one or two general questions you have; you have to see a doctor to get a referral to see another doctor only to see if they're accepted by your insurance network...YUCK! From Physical Therapists, to Registered Dietitians, to Massage Therapists, Chiropractors, Certified Public Accountants for healthy wallet advice, we have you covered and assure you, you membership alone will pay for itself here if you take advantage of this service! BECOME A SYDNEY SQUAD MEMBER! like-minded and goal-oriented men and women from all over the world! Cancel ANYTIME! After you submit your payment, make sure to request to join the Sydney Squad group! We won't be able to add you to the group until you request to join the group! STEP 2: SUBMIT YOUR REQUEST TO JOIN THE GROUP AND WE WILL ADMIT YOU ONCE WE SEE YOUR JOIN REQUEST! Pay Month to Month! Cancel anytime! Pay yearly & get 3 MONTHS FREE!! Matt Crandall is the owner and founder of PowerPhysio LLC, located in Charlotte, North Carolina. Matt’s primary goal in creating his private business is to help athletes and active adults achieve personal goals by resolving acute or chronic limitations that are limiting progress athletically or on a daily basis. He specializes in creating personalized treatment plans that will maximize movement and body potential, ultimately leading his patients toward a happier, healthier and more powerful life. In order to demonstrate everything PowerPhysio can offer. His strengths lie in his ability to connect with people from various backgrounds; he is passionate about helping his patients succeed, whether that means enhancing athletic performance or simply being more comfortable on a day to day basis. Matt attended Ithaca College from 2007-2013 where he earned his physical therapy doctorate degree in 2013. He continued his education by accepting an opportunity to work for Carolinas HealthCare System where he pursued and completed the Orthopedic Residency Program in 2015. In addition, he is a Certified Myofascial Trigger Point Therapist, which allows him to practice advanced musculoskeletal dry needling therapy. Today, he is recognized by the American Physical Therapy Association as a Board Certified Specialist in Orthopedic Physical Therapy. His dynamic training allows him to incorporate trigger point dry needling, manual therapy, mechanical diagnosis therapy, neuromuscular re-education, and injury prevention/performance enhancement in his treatment approach. ​Matt has a diverse athletic background playing and studying a variety of sports. His resume includes experience with football, mixed martial arts, wrestling, ice hockey, baseball, and basketball, just to name a few. He is accustomed to working through athletic injuries of all kinds and has firsthand experience as a lifelong athlete who also played football at the collegiate level throughout his time at Ithaca College. His thirst for knowledge drives him to continuously expand his horizons and has led him to become very active within the CrossFit and bootcamp community. He currently works with athletes recovering from overtraining/overuse injuries, including but not limited to back, neck, hip and shoulder pain. 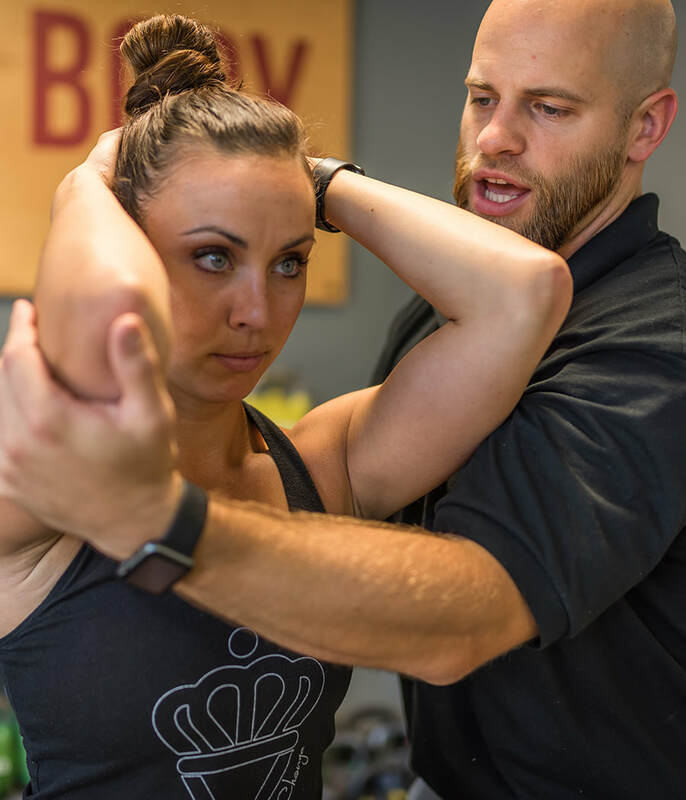 Matt utilizes a functional movement assessment approach and is able to quickly and accurately identify limitations which may be hindering athletic performance or increasing risk for injury. He has enjoyed his journey so far and looks forward to his future as the owner of PowerPhysio, LLC. 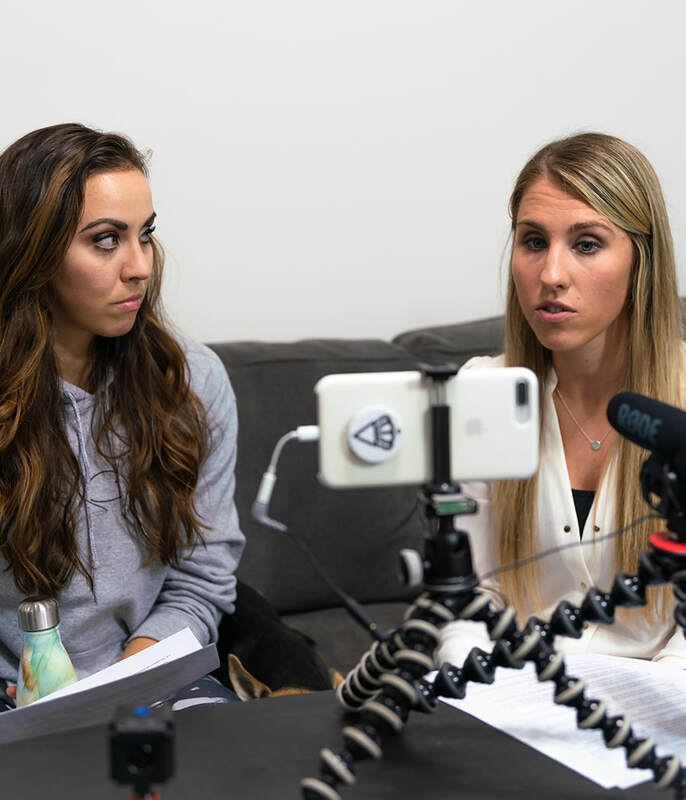 Cassie was a group favorite during October 2018 when the SydneySquad submitted multiple nutrition questions. Cassie took her time and explained and helped numerous people with her knowledge and expertise in the field. Cassie attended Ithaca College and earned her Bachelor of Science Degree in Exercise Science. While attending Ithaca College where she excelled at running track and field, Cassie truly enjoyed maintaining a well-balanced lifestyle and healthy eating habits. Cassie soon realized the extent to which food and exercise enhanced her quality of life and is why she decided to pursue a career as a registered dietitian. To fulfill this path, she continued her education by completing a Master’s Degree in Human Nutrition at Winthrop University in 2016, and, subsequently a dietetic internship through Winthrop in 2017. Dr. Sankey received his Doctorate of Chiropractic and Master of Sports Science and Rehabilitation from Logan University in St. Louis, MO. While in school he completed over 500 hours of extracurricular education with a focus on treating musculoskeletal problems and sports injuries. Dr. Sankey is the official chiropractor for the Charlotte Independence soccer team. After you submit your payment, make sure you request to join the group on Facebook! Access and utilization of the materials within the SydneySquad requires a Facebook account. Usage requires an active subscription, available on monthly or yearly basis. Yearly subscriptions are billed the total annual fee from purchase date. Monthly subscription users are billed monthly on the day of the month the account is originally drafted. Payment will be charged to your method of payment via PayPal. Subscription renews automatically unless cancelled at least 48 hours prior to the end of the subscription period. There is no increase in price when renewing. Subscriptions can be managed and auto-renewal turned off within your PayPal manage automatic payments settings within your account settings; however, once charged, as this is a digital product and service (see return policy below), user will have access to the group for the remainder of the subscription period and will not receive a refund for the subscription period. You may also contact us at mail@royalchange.fit with your name and profile ID to cancel your membership or click the unsubscribe shortcut on the Contact Us page. As all of the SydneySquad products are digital, they are deemed "used" after joining, download, or opening. This unfortunately means we have a strictly no refund policy in regards to dissatisfaction with product. Please contact mail@royalchange.fit to see how we can remedy any problems you may have with this.